Select the correct order of the adjectives in these sentences. 1. He was wearing a ________ shirt. 2. Pass me the ________ cups. 3. All the girls fell in love with the ________ teacher. 4. I used to drive ________ car. 5. He recently married a ________ woman. 6. This is a ________ movie. 7. She is a ________ supermodel. 8. It's in the ________ container. 9. He sat behind a ________ desk. 10. She gave him a ________ vase. Decide which parts of speech are the underlined words | Match a word in A with a word in B to make a new noun. 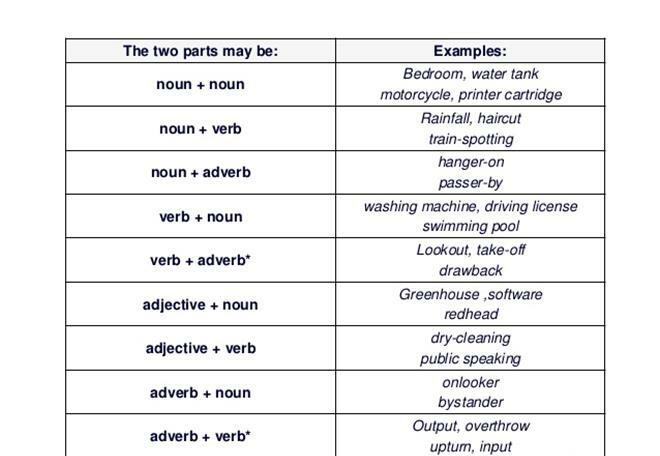 Then fill in the gaps in the sentences below the table with a compound noun from the table.